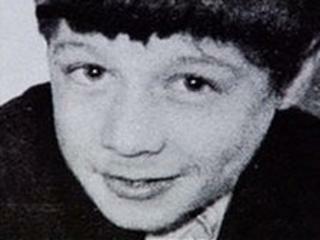 The solicitor for the family of a boy shot dead by a soldier almost 40 years ago has said they are "overwhelmed" by the findings of an inquest jury. On Friday the jurors unanimously found that 15-year-old Daniel Hegarty posed no risk when he was shot twice in Londonderry during Operation Motorman in July 1972. His cousin Christopher was also wounded. Des Doherty said prosecutions were now a "definite possibility". "The full rigour of the law has to be applied and it is now of course a matter for the coroner," the solicitor said. "This case was not about vengeance. It was about justice." The jury rejected claims that warnings had been shouted to the two teenagers before they were shot. The operation was aimed at reclaiming "no go areas" in the city from the IRA. Daniel, who was a labourer, was shot twice in the head by a soldier close to his home in Creggan. His cousin Christopher, 16, was shot in the head by the same soldier but survived. The jury found that none of the soldiers present attempted to "approach the injured youths to either search them or provide medical assistance". Mr Doherty said the record had now been "set straight". This is the second inquest into Daniel's death. The inquest opened on Monday and heard from Daniel's sister Margaret Brady. She described how her mother continued to set a place for him at the table and call him for dinner for months after his death. In 2007, the British government apologised to the Hegarty family after describing Daniel as a terrorist.